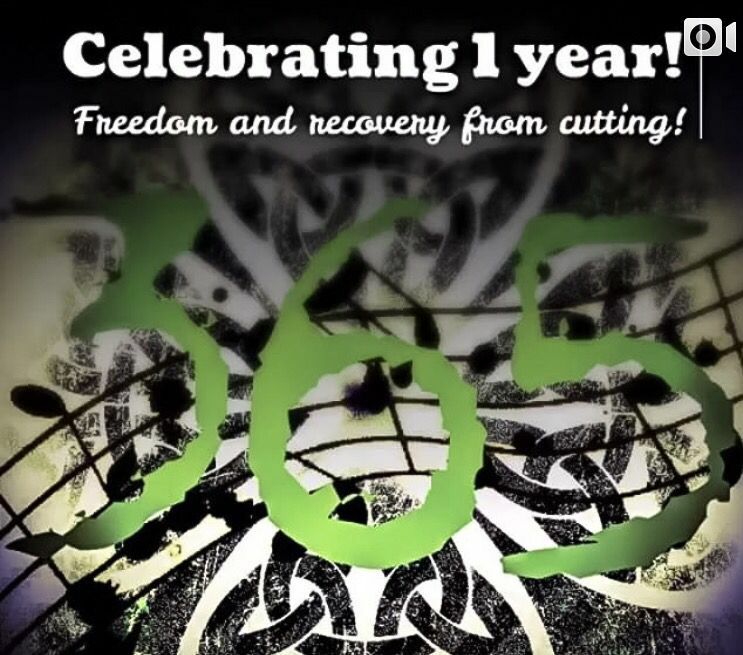 Often times those in recovery are discouraged by the hardest part in recovery.... relapsing. As I feel in this time.... Now, I didn't say that relapsing is the end of recovery or the opposite of it... It is however the most difficult part of it, because you feel like it is the end and that it is the opposite. A relapse feels like a setback. A relapse makes one feel weak. But, this is me speaking to those lies.... When you relapse, it is only the end if you give up. So, this is encouragement to the relapsed recovery warrior. You may have lost the battle, but you've not lost the war! Do not give up, pick yourself up and do the same you did before.... take one day at a time. Overcome each obstacle. And you slip up again, just keep doing it. Although I reached 1 year, 7 months, and 2 days without cutting, I do remember I had relapsed several more times beforehand. It isn't over. It's not the end. You got this... Don't beat yourself up. You did your best. Tend to the wound. Mend the relationships. Fight the good fight. And keep hoping. 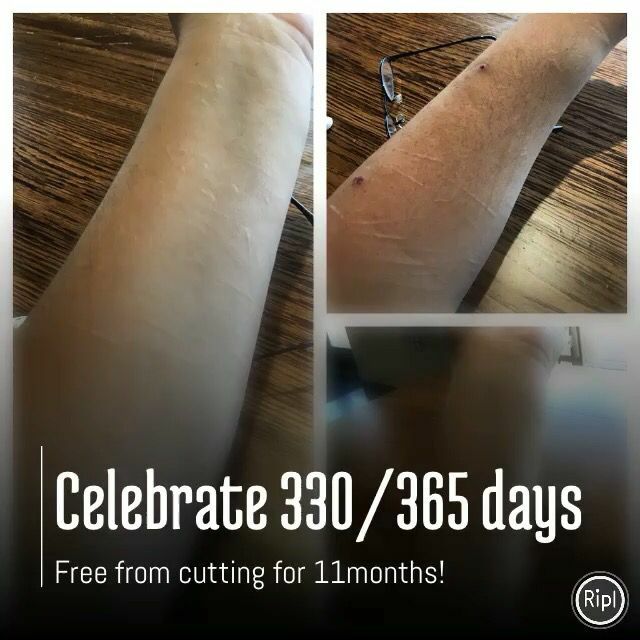 Yesterday marked my first whole year from cutting! My parents put a lot of effort into a 3-course meal and dessert to celebrate also taping a $15 iTunes gift card too! In a tight time in our finances, I know this was an expensive meal, and appreciated this all the more. The whole thing touched me so much that when I left the room, I was crying a little. Thankee, mum and daddy. You have no idea how much this touched me! I love you both! "Glory to the Lord above!" 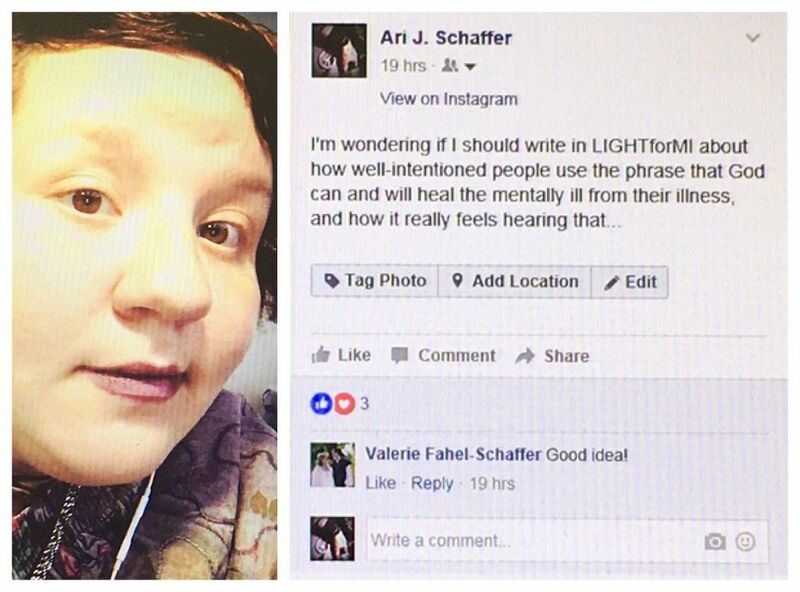 Well, I have been thinking about the fact that many of my friends have been telling me that they believe God can cure me of my mental illness. And I know this is well intended, however I'd like to emphasize that just because God can do something does not mean he will. Sometimes, God uses these flames (illnesses) to sharpen us in his forge. Something I'm learning about following God, is trusting that He knows what He is doing. Following Him should never be about expecting everything to be fixed. There is a process and sometimes the scars remain. We are in a body that can scar on flesh. And our minds are connected to that flesh, because the brain is just an inner flesh... It scars and is as broken and unbalanced as the outer flesh... Sure we may pray for healing. And healing will come. It might not be in the way you expected or wanted, but it comes... and one day it shall be complete and if you acknowledge Christ as your Lord you will experience that full a completed healing in Heaven. "Prayer shouldn't be about God 'fixing' things, but God being present in the midst of those things."